“Hey don’t forget to bring over that Mexican wine from Trader Joes.” Said no one ever. At the Cheesecake Factory: “Damn honey, that Cabernet from Mexico would have gone better with our pepper steak.” Nope, didn’t happen. “Listen, don’t forget to ice the riesling from your Mexican wine collection.” Yeah no. In fact, Mexico is where grape growing and wine making started in the New World. The Criolla grape was taken south from Mexico and laid the groundwork for the early South American wine industry. It was also taken north and became known as the Mission grape in California. 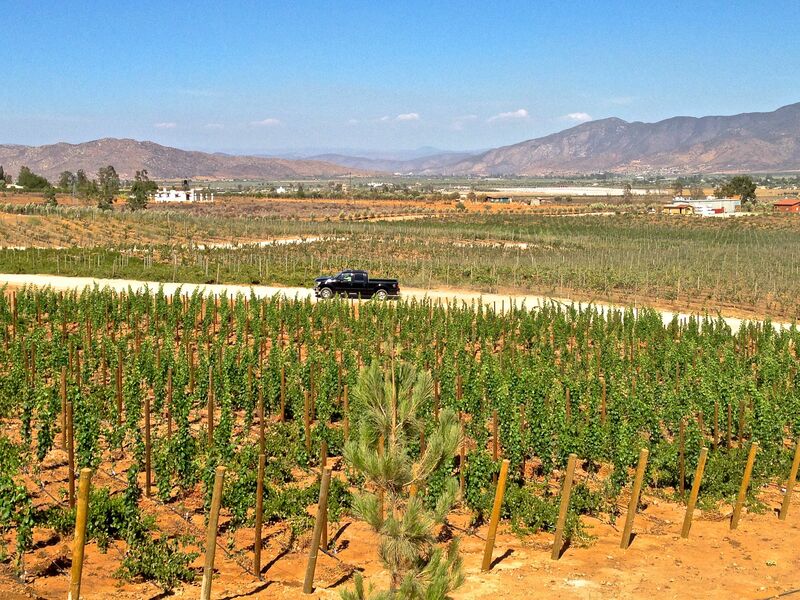 There are several grape growing regions in Mexico, but the northern section of Baja California has proven to be the most prosperous, producing 90% of Mexico’s wine. The fog-induced coolness enables varietals such as riesling, pinot noir, and cabernet sauvignon to have good acid retention and flavor development. Despite limited local interest, Mexican wine has gained ground in the international wine market. Successful regions such as Guadalupe Valley have benefited from the capital and expertise from countries such as Spain and France. Cutting edge equipment and methods have contributed to the industry’s exponential growth. 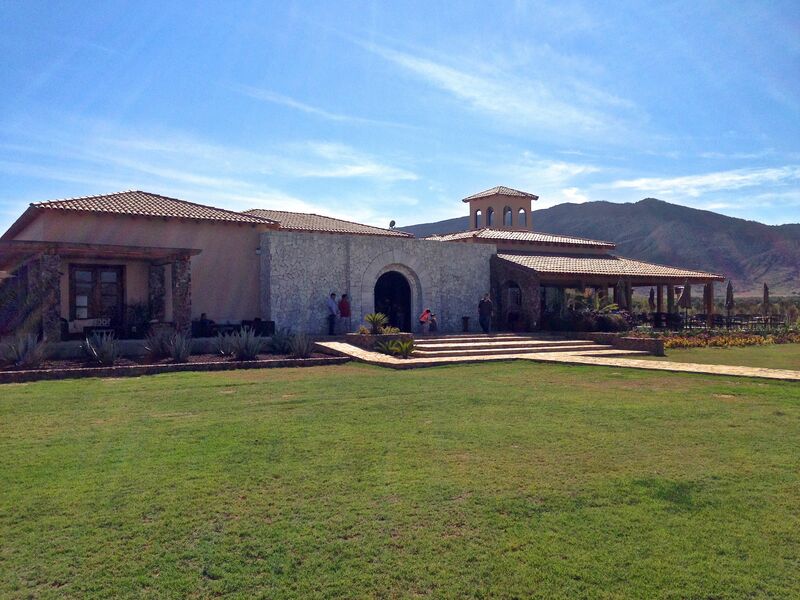 Today, tourists and locals alike can visit at least 50 boutique wineries along the ruta del vino in Guadalupe Valley. I really loved being here. Everyone I talked to was super informative and friendly. I suppose the fact that I stayed here during the trip makes me kind of biased 🙂 But hey, besides getting to wake up in this beautiful place for a couple days, I didn’t have to get in my car! 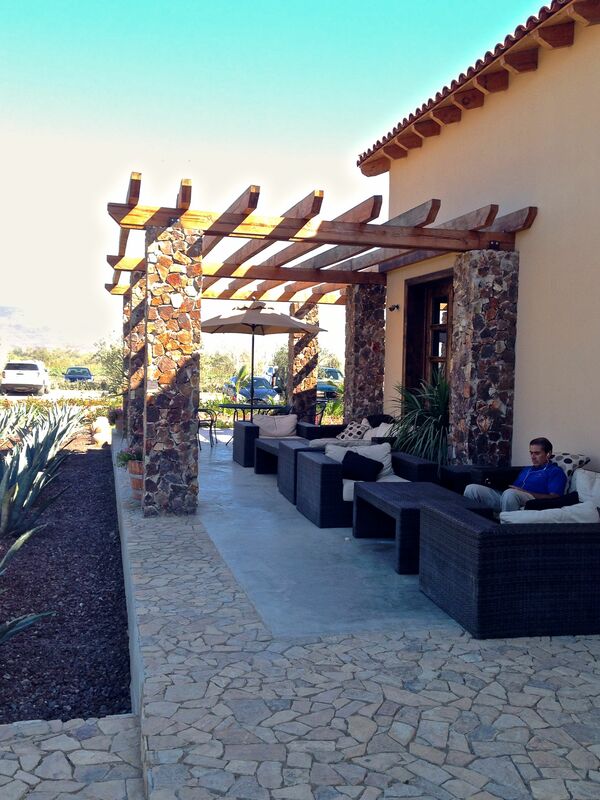 Luis Garcia is the one to get to know at Adobe Guadalupe. Very kind and relatable. Adobe Guadalupe’s own sommelier Alejandro Acevedo usually conducts the tours and tastings, but I had just missed the last group. The hotel’s operation manager, Luis García, kindly took me through the scenic grounds himself. 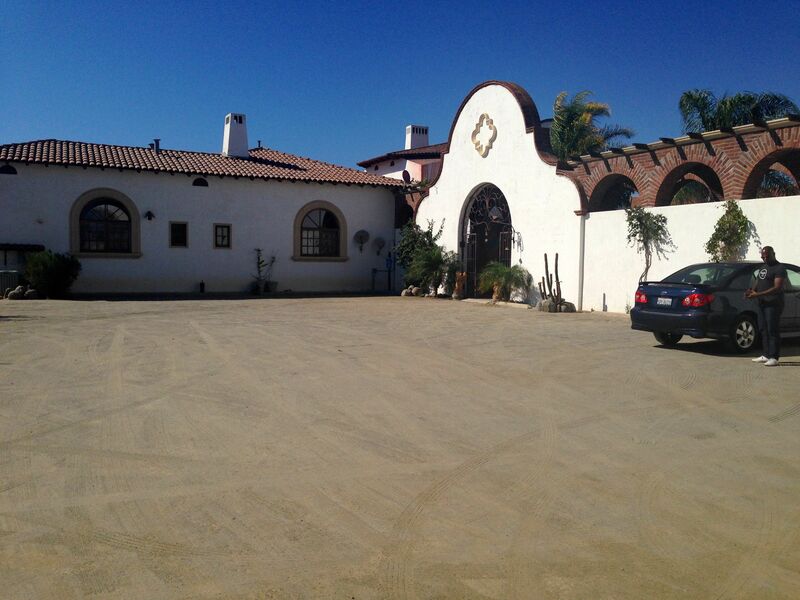 He first led me to their tasting room, a cool, sizable brick-layered space filled with large wine barrels. I love the names given to the labels. Each varietal is named after a different archangel, such as Gabriel, Serafiel, and Rafael. The wines tasted wonderful, just as good as the wines I’ve enjoyed in California. 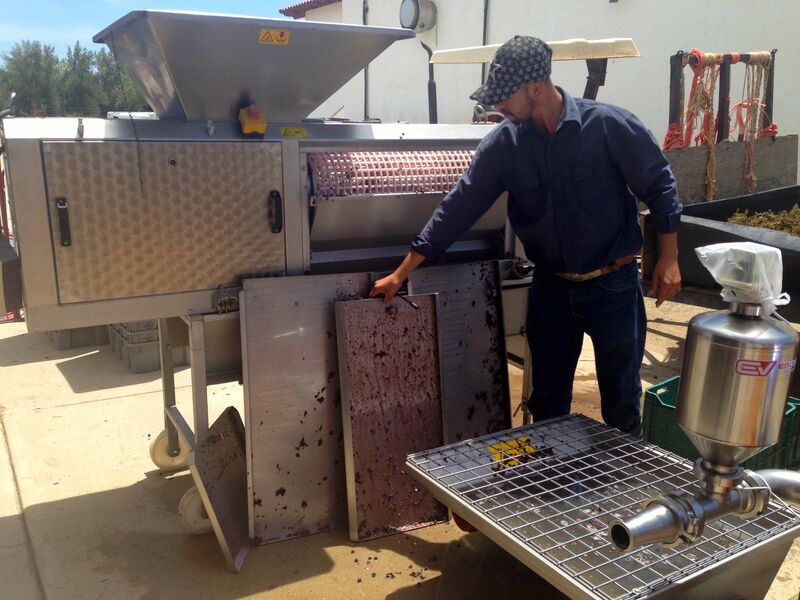 Daniel Lonnburg, Adobe Guadalupe’s winemaker. They are lucky to have him! 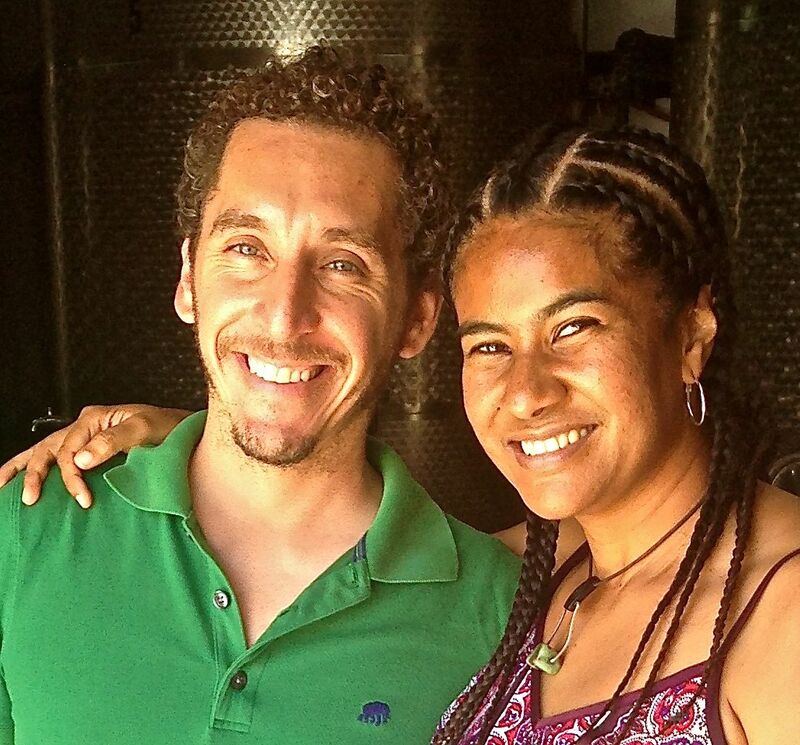 Next, Luis guided me to the winery and introduced me to their winemaker, Daniel Lonnberg from Chile. They allowed me to get a glimpse of the crushing, destemming, and fermentation process. 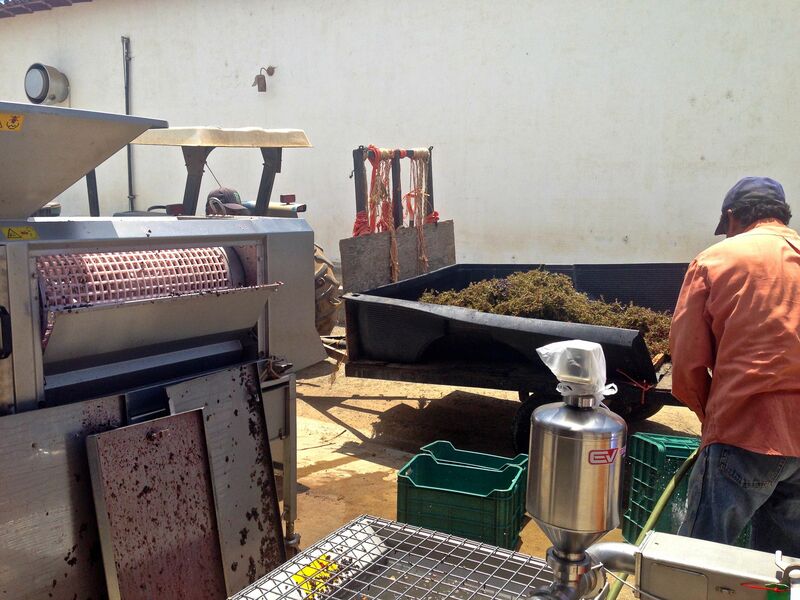 It was super hot, and I wondered aloud how they were able to produce balanced wines in such a climate. 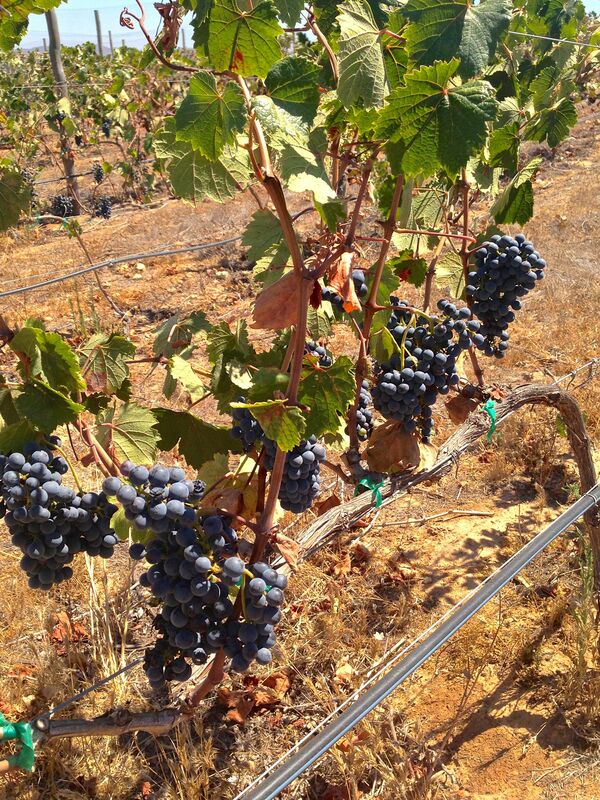 Grapes in warm climates are known to develop full, ripe flavors, but tend to lose a lot of the natural acidity. They explained that acid is added later during the fermentation process. This place has that WOW factor visitors long for. 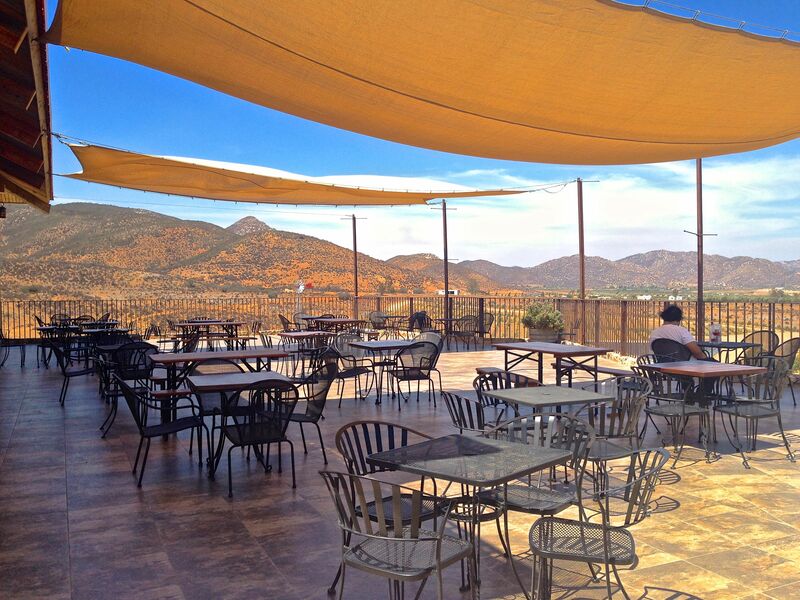 A serious triple threat — great wine, ambience, and stellar views. This impressive stone structure with floor to ceiling windows is perched on a hill, and fixes its gaze on the vast fields below. 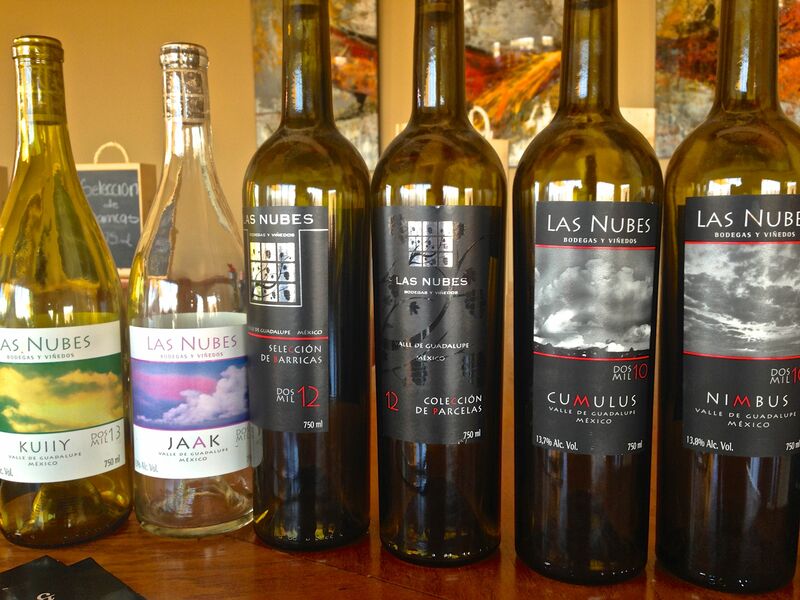 Las Nubes (The Clouds) wines are known for their commitment to outstanding quality and reasonable prices. Each varietal is named after a different cloud formation. Sauvignon Blanc, Chenin Blanc, Viognier, Malbec, Petite Syrah, and Zinfandel are some of the high caliber grapes that cover the vineyard which spans over 60 acres. There is a section set aside for experimental vines as well, which alludes to the notion that innovation and expertise go hand in hand. Man, I loved it here! I could have hung out all day. If you don’t want to stand at the tasting room bar and would prefer to sit down, you can recline like royalty at the gleaming communal dining table, or get your Sofia Loren-glazed tan jumpstarted on their massive patio/balcony. They’ll bring your selected wine flights to you while you gape at the killer view and munch on delicious cheese and crostini. Tasting bar at Las Nubes. I love this enormous patio/balcony! I had my wine flight and appetizer in this gorgeous dining room. Um, Miss, would you like some wine with your view? Wine flight at Las Nubes. 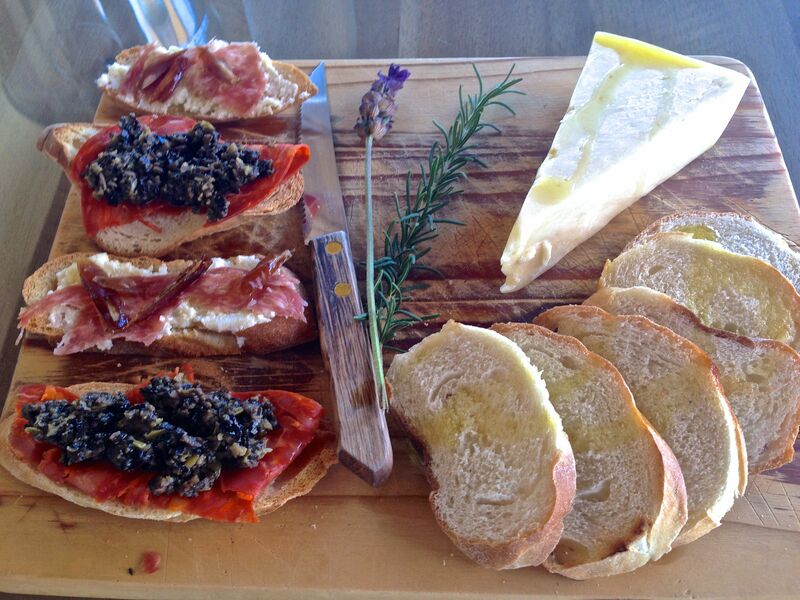 This crostini and cheese plate was so delicious! Best of all, it was free! Have you ever driven down a road and careened past something so riveting, so fantastic that you had to screech to a near halt and make an immediate U-turn? 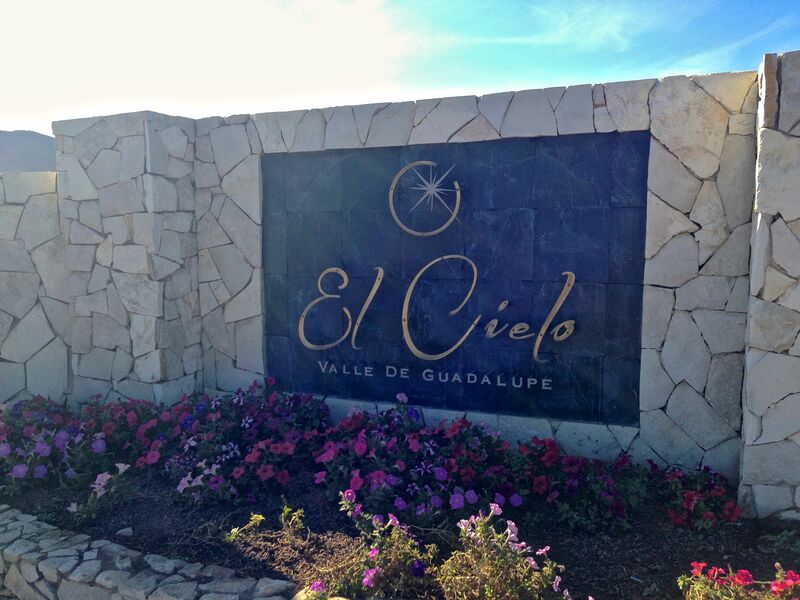 Yeah that’s El Cielo, a gorgeous Spanish-tiled property flanked by the expansive vineyard and emerald lawn laced with vivid flowers and flamboyant cacti. I timidly crept up the walkway wondering if I was worthy. 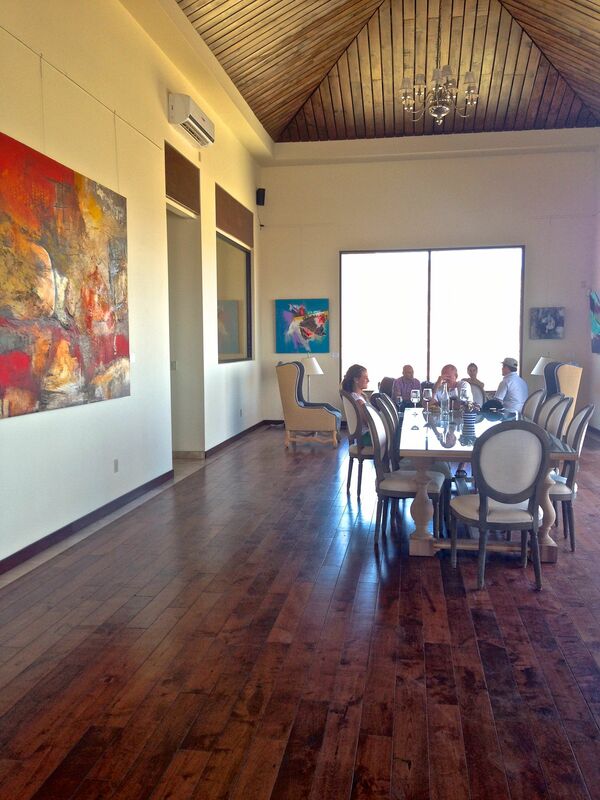 Reception area and wine store at El Cielo. 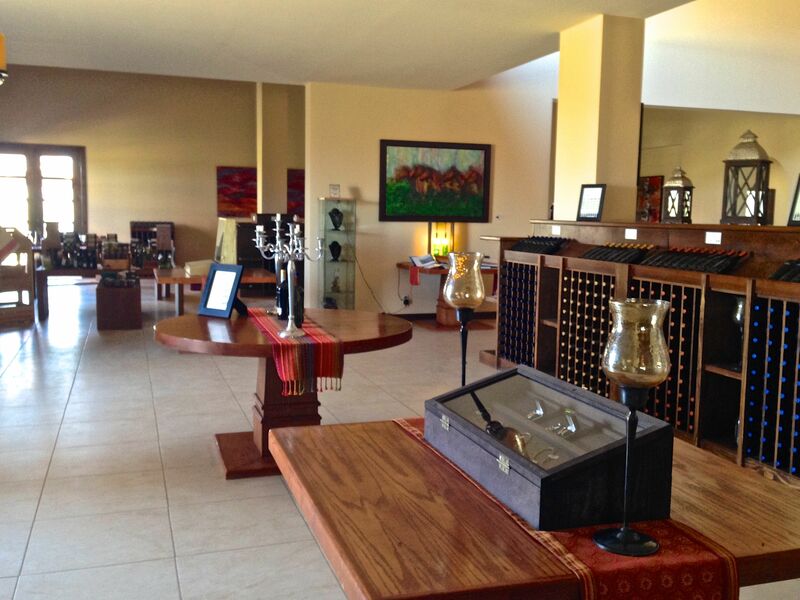 I walked into a large, spacious room which appeared to be the welcome area and wine store. I signed in with an attendant and put my name down for the next tour. I only had to wait a few minutes before I was being led by a tasting room guide down a long flight of stairs. Blinding sunlight gave way to a dark, cavernous, um, dungeon-like cellar and tasting room. The stone walls and iron bars made me feel like I was in a castle. I was half expecting a guy to leap out brandishing his sword yelling, “Hello! My name is Inigo Montoya! You kill my father. Prepare to die!” (If you didn’t catch the Princess Bride reference, you’re definitely not worthy of reading this post). 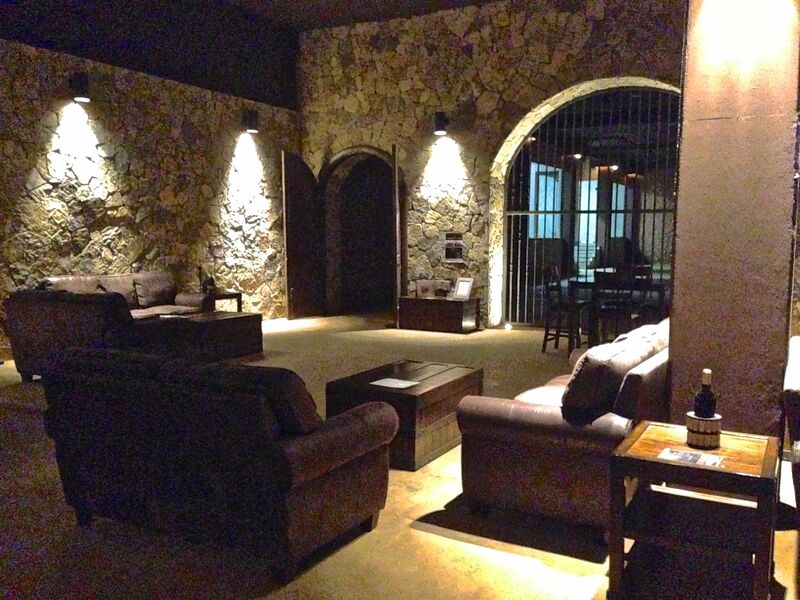 Tasting room and wine cellar at El Cielo. At the tasting table, I was presented with 7 bottles to try, going from whites to reds. El Cielo names its wines after constellations and astronomers. The Halley 2013 – 100% Chardonnay, was refreshing and had some nice tropical flavors, like mango and pineapple. I enjoyed the Galileo – 100% Tempranillo, and a couple of red blends — a cabernet sauvignon/merlot called Copernicus, and Perseus — a blend of 70% Nebbiolo, and 30% Sangiovese. 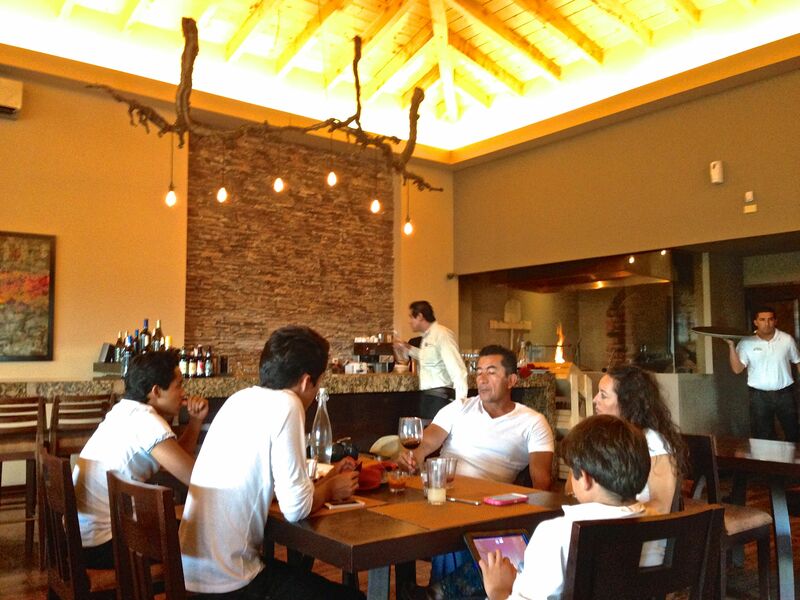 The winery also has a beautiful, roomy steakhouse called Latitude 32. 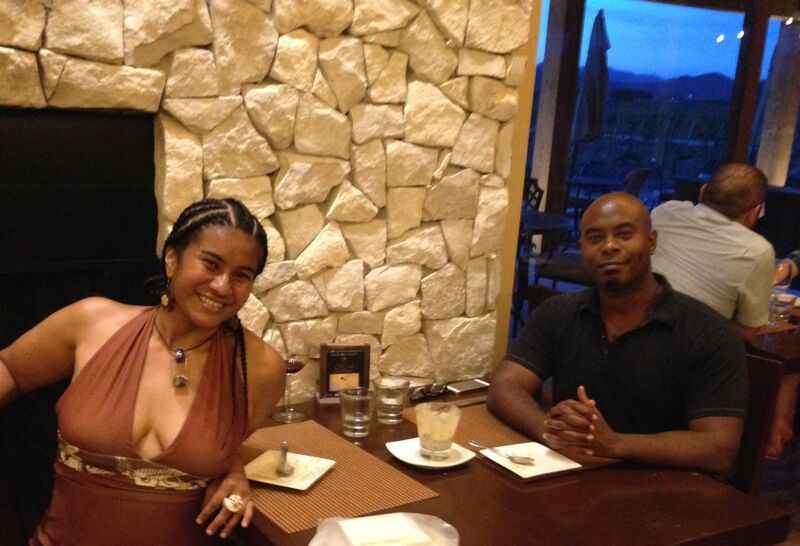 The warm earth tones, rustic wood furniture and roaring fireplaces made me feel like I was a guest in someone’s home. I ordered a juicy skirt steak with chimichurri sauce, and the waiter was more than eager to pair the food with my favorite wine from the winery. El Cielo has some cool things in store for the upcoming months: The owners will add a boutique hotel with luxury rooms containing private hot tubs and fireplaces. A day spa is scheduled to be added as well. In addition, they intend for the property to be environmentally friendly. Over 200 solar panels have already been installed to the roof and the car park. About 75% of the winery’s energy will come from these solar units. I imagine that this father is teaching his family about wine. 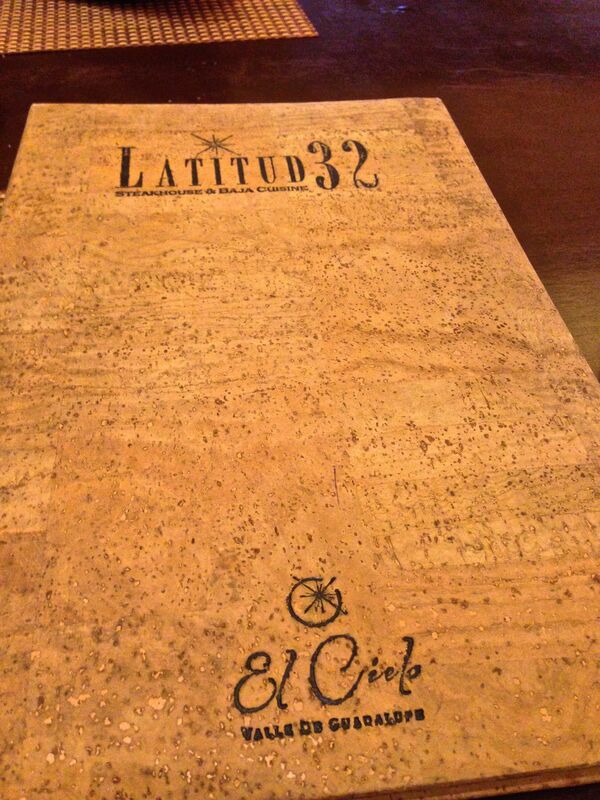 Relishing my wine and my surroundings at Latitude 32. Latitude 32 also has comfortable furnishings outside with free wifi included. This was my favorite Mexican wine. Kind of a Mexican version of Chateauneuf du Pape. Power on the palate! Dark chocolate, ancho chile, coconut notes. Easy to drink and well balanced. Ripe cherry, rosemary, and basil. Smooth tannins, rich mouthfeel. A luscious wine! 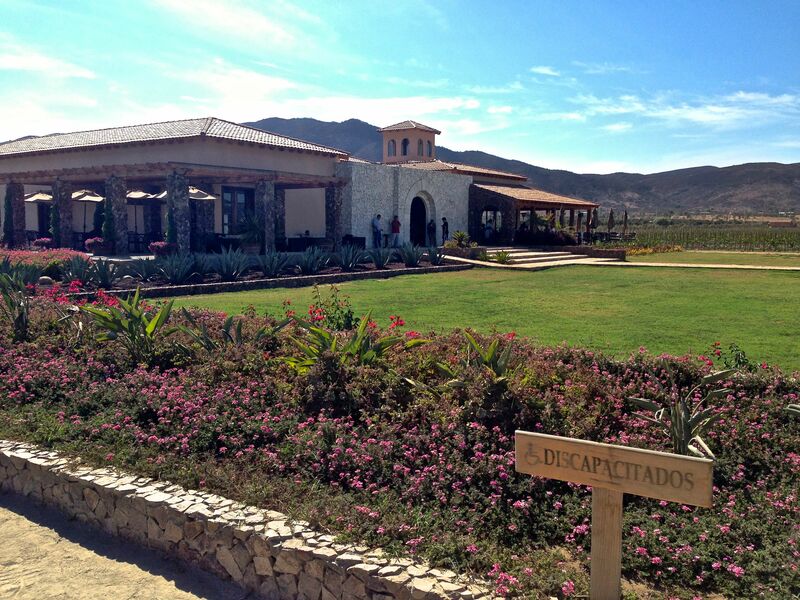 The Valle De Guadalupe is about a two hour drive from San Diego, just northeast of Ensenada. Picking up car insurance for Mexico right before you cross the border is recommended. Each person is allowed to bring back a liter (33.8 fluid ounces) — roughly 1 bottle of wine into the US. Bummer I know. So choose your wine carefully! 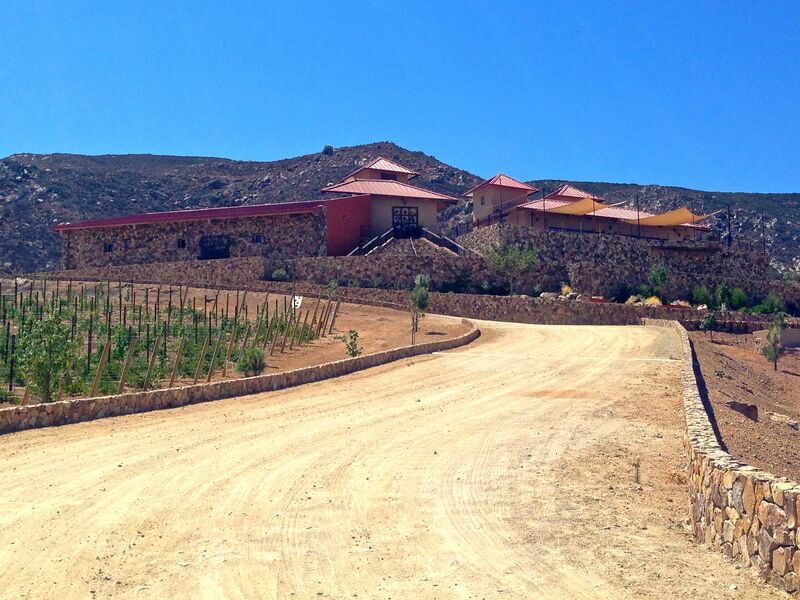 This entry was tagged adobe guadalupe, El Cielo Winery, Ensenada, Guadalupe, Las Nubes, Las Nubes Winery, Mexican wine, mexican winery, Mexico, travel blogger, Valle de Guadalupe, Wine, wine country, wine tasting, winery. Bookmark the permalink. I love learning of new wine regions to explore. You’ve inspired me to look into it for our next wine trip. It sounds (and looks) great! Wonderful 🙂 I think you’ll have an amazing time. If you have any wine regions to suggest as well, I’m all ears! Have you heard of “Casa Madero” wine? 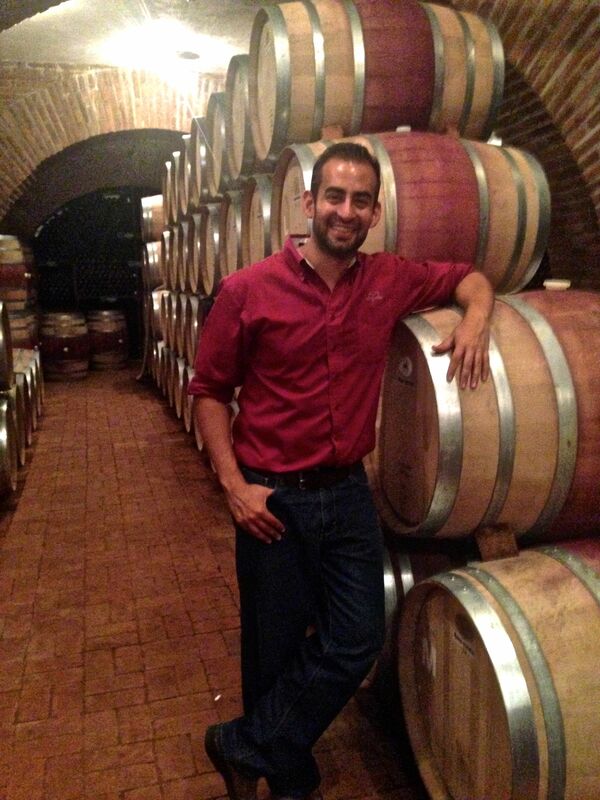 Is really good, the vineyards are in this magical town called Parras, Coahuila. A week in august there is a big fair in town to celebrate wine. IS A MUST SEE. Also there is a small family owned vineyard that makes the most delicious red wine with a hint of wallnuts, I think the store is called VESUBIUS. Any way if you are planning a roadtrip check this place out. Thanks Andrea! I’ll look into it! I would love to discover more wine gems. The community aspect sounds awesome too! Me neither Vanessa! I learned a lot, I loved the trip, and I think you would have a blast. And yeah I’m all about free food, especially GOOD free food! Honestly! Honestly! No way! I never thought about Mexico as a wine country. Thank you so much for that information. Looking now to get a couple bottles to give it a try. Yeah! I took quite a few wine courses here in Los Angeles before I found out. It really is a spectacular road trip, even if you only have a couple of days to spare. I highly suggest you make a stop for lunch in Puerto Nuevo, a seaside town that specializes in lobster. Awesome food and the prices are right! Awesome Sarah! Yeah unfortunately supermarkets, even wine stores don’t carry Mexican wine— something about our import tax You can find some in select restaurants— for example, chef Rick Bayless in Chicago has a great selection of Mexican wine at his restaurants Topolobampo and Frontera Grill. I’ve also been told there are a few markets in San Diego near the border that carry them. Otherwise you’re out of luck. Now in have another reason to go back to Mexico! I love articles like this that show is the unknown of a specific area! Great post! Yes! You are close to the Finger Lakes region in New York. I’m dying to visit that region. Lucky you! Wow mexican wine? I had wine from Chile once but Mexico? Thanks for the informative post! You’re welcome! I love Chilean wine as well! Mexico doesn’t quite have an ideal climate but they make it work. They are determined! 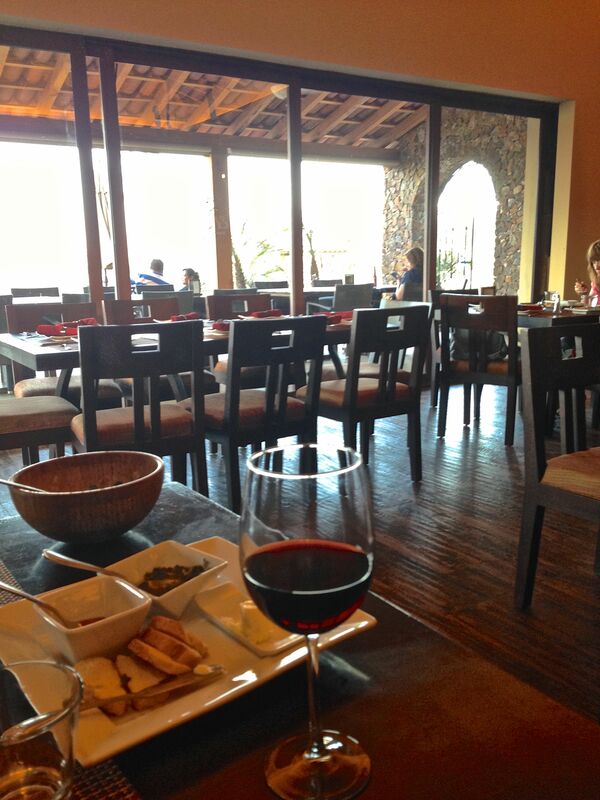 I’ve had the chance to try a few Mexican wines too and they are really nice. 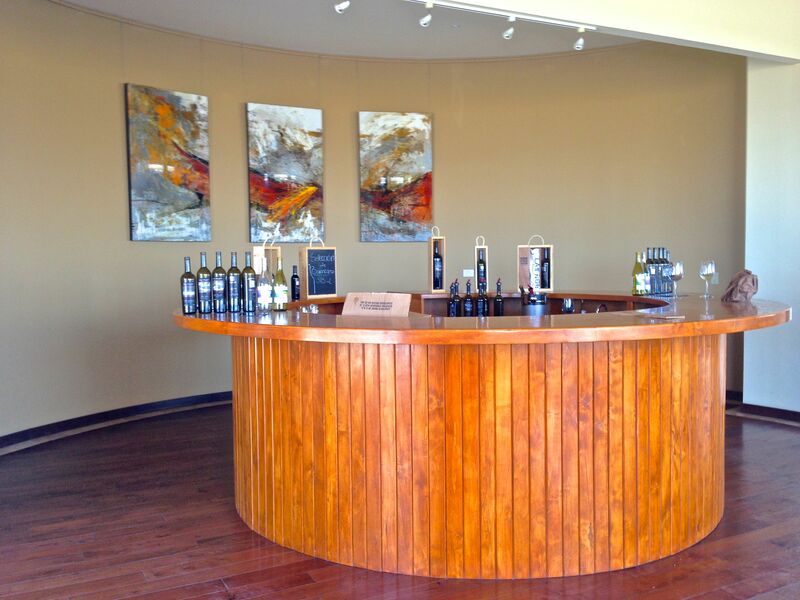 Thanks for letting us know about some terrific wineries to visit. 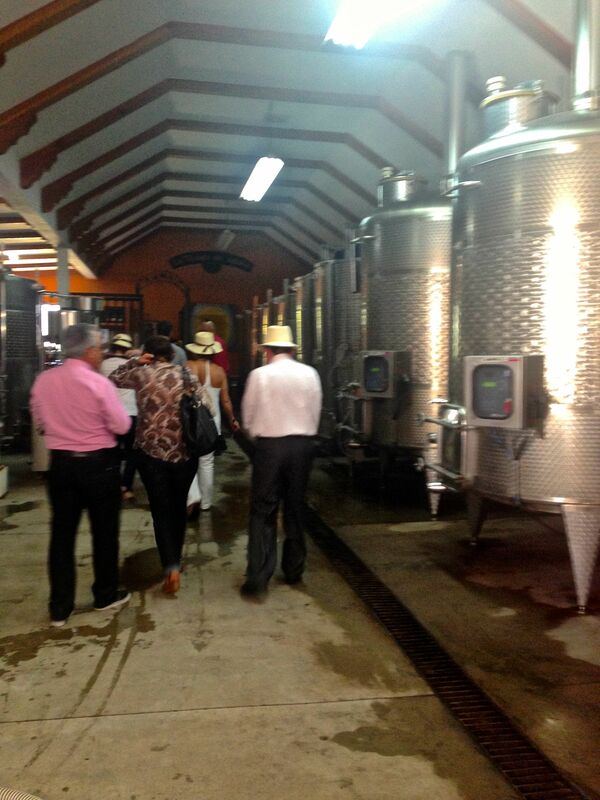 Would have never thought to check out wineries in Mexico! Looks like a lot of fun–would love to visit this area! Jenna it’s an easy/exciting road trip from San Diego. You will have such a great time! 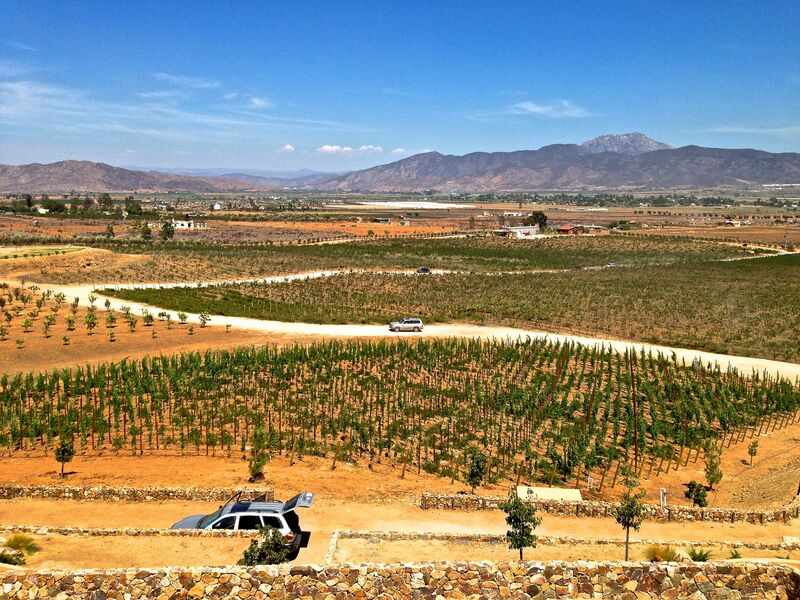 I never thought about visiting wineries in Mexico, but it looks like a great idea! Would love to visit this area sometime! Love learning about the history of wine. A newbie, I’m interested to hear about the type of grape! I didn’t know Mexico was a wine producer (shows my knowledge)! I was immediately surprised just reading the title of this post! I had no idea they had wineries in Mexico. 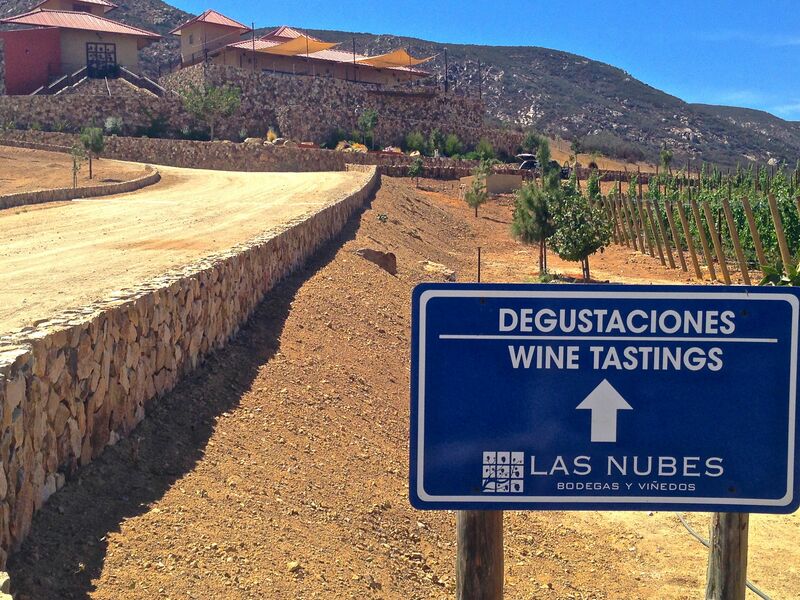 They are beautiful wineries as well, the view from Las Nubes was incredible! I love wine, but we’ve never explored wine properly while travelling! It is something that I would love to do, but I’d never have had Mexico down as a possible location! Thanks for letting us know! Thanks so much! It really was a wonderful place. I will definitely go back!